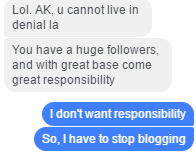 AK the born again teacher or a mental blogger? I chanced upon your blog half a year ago and been following your every entry since then. In my free time, i try to read up your entries to get a grasp of what we can do to improve our wealth and be financially independent. 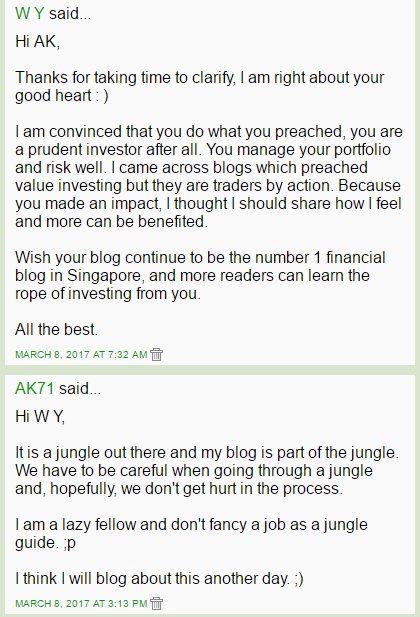 Articles such as contribution to CPF SA holds dearly to my heart as it means the earlier we transfer from OA (of course living a portion for hdb flat payment) to SA and cash top up (tax rebate) the more we can enjoy the compounding interest and what we will receive from our retirement in the future. I also benefited from your lucky 4 numbers and won a little fortune. Thank you. Your insight into shares also led me to buy shares which I wasn't aware of. I assume I am too lazy to read up on Financial news. Thanks for talking to yourself every now and then. Please continue doing what you do best as what you are doing will inspire us to be better in being financially independent and gain more knowledge in financial knowledge. On a serious note, I like helping people to help themselves. So, I am glad if talking to myself has achieved this. 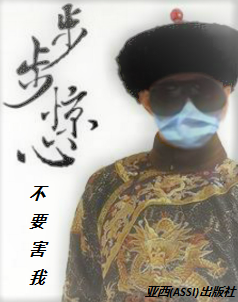 However, not for the first time, I have been made aware that my blogs could also have caused harm. See comments: HERE. However, given the overwhelmingly positive messages I received from readers when I shared my thoughts on my FB wall, I guess I will keep blogging, keeping the status quo. Although I won't stop blogging anytime soon, I might slow down from time to time. I want to avoid the feeling that blogging is a full time job. Blogging should always be a hobby to me. Even if I do stop blogging one day, my blog is still here. So, you are never alone on the journey to financial freedom. Be good. Be prudent. Be pragmatic. Be patient. We will do well enough. How did AK achieve financial freedom?